I won’t waste your time telling you bacon is good. I mean, hi. You know bacon is good. Bacon in the oven, though? Bacon in the oven is GREAT. It’s easy and hands-off and consistent, and it works for a few or a crowd. Here's how to cook it. 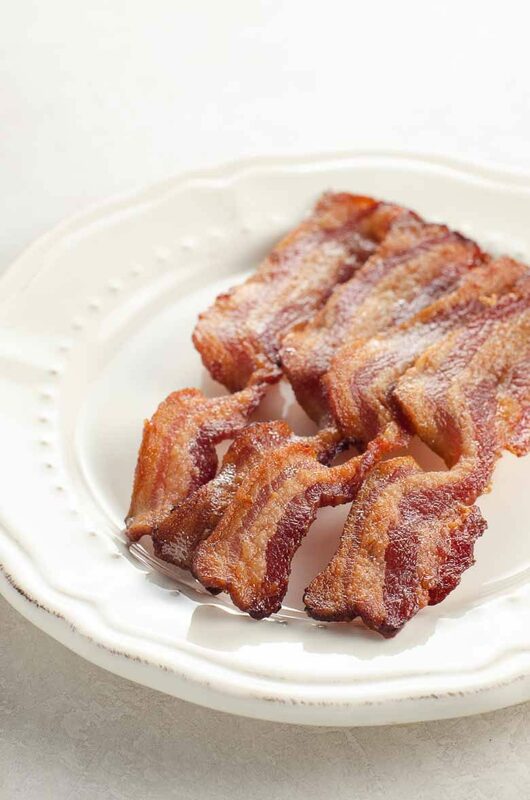 We especially love thick-cut applewood smoked bacon, but it's hard to go too wrong. Bacon in the oven doesn’t splatter all over the weird spaces between the burners that you just wiped down like five minutes ago. It doesn’t talk back while you cook it. It still makes your house smell like bacon, but somehow not for as long as the stovetop method. And it doesn’t need constant tending. It understands its place to the point of being almost too humble. You’ll want to reassure it. “You complete me,” you’ll almost feel the need to say. 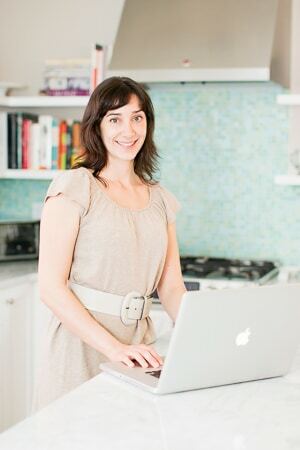 It’s much more hands-off than stovetop cooking, leaving you free to flip pancakes, poach eggs, or sip a drink and chat. If you’re cooking bacon for a crowd, the oven can easily accommodate two pounds of bacon or more on two rimmed half-sheet pans. There are a few instances where it’s better to cook bacon in a nonstick pan like this one or this one. We rarely say “don’t use a cast iron pan,” but bacon cooks less evenly and can burn too quickly in spots when you use a heavy, heat-retaining pan like cast iron to make it. If you’re only cooking a few slices, it’s not worth cranking up the oven. Cooking time will vary by thickness, so just watch ya bacon closely as it gets close to your desired doneness. Using a piece of foil helps marginally with cleanup and also helps support the shape of thinner slices as they cook. It's okay to overlap slices slightly when placing them on your rimmed sheet pan, since they'll shrink substantially during cooking. 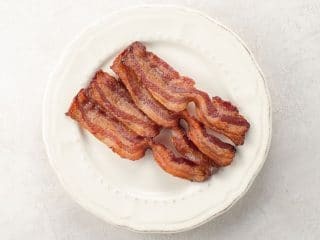 This is rare advice when roasting or baking, but it's better to crowd bacon a little so it cooks in plenty of its own fat like it would on the stovetop, rather than spacing it out anemically. 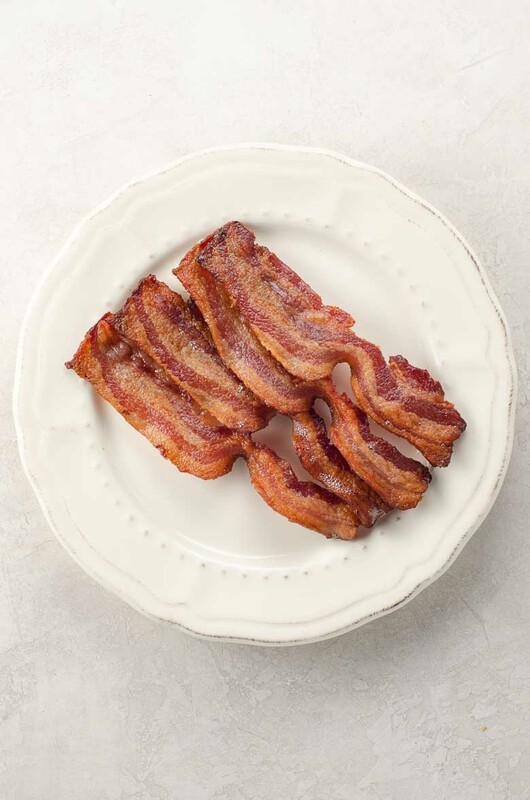 To make bacon for a bigger crowd, place two sheet pans on oven racks the top and bottom thirds of the oven, and simply swap the position of the baking sheets about halfway through cooking time. There's truly no need to flip when cooking bacon in the oven. Bacon in the oven is hands-off and consistent. I like to use applewood smoked bacon that's cut very thick. Cooking time will vary depending on thickness, so watch carefully toward the end of cooking until you get a feel for how your oven and bacon work together. Preheat oven to 375°F with a rack in the center. 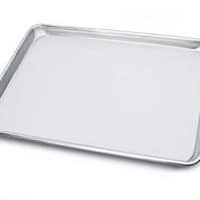 Line a rimmed half-sheet pan with aluminum foil if you like. (We sometimes do and sometimes don't. It helps a bit with cleanup but isn't strictly necessary.) Arrange bacon in a single layer. If you have to overlap the slices just a little, it's okay — they'll shrink. Bake for 15-20 minutes, more or less, until crisped to your liking. Watch carefully toward the end. Cooking time will vary depending on thickness. 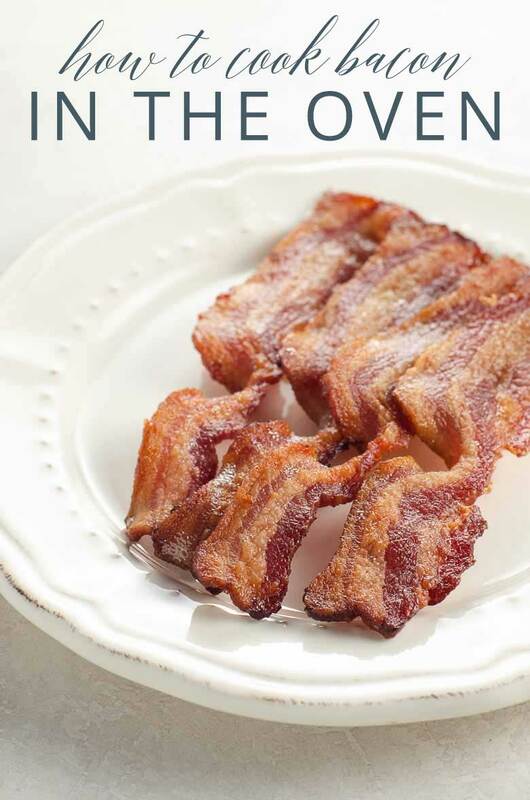 To make bacon in the oven for a bigger crowd, double the recipe. Use two baking sheets, one in the top third and one in the bottom third of the oven. Switch pans halfway through baking.